When I was growing up, our family holidays every year were always within the UK. My mum has a fear of flying, and so for that reason we never went abroad. Because of this, I am very much of the opinion that you don't need to venture very far to find some fantastic holiday destinations....there are so many of them right here at home. 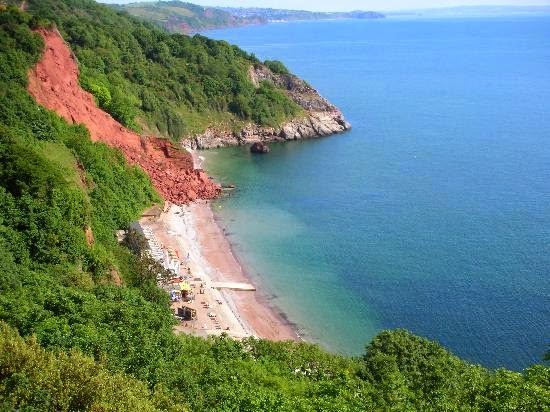 We are so lucky in the UK to have such an array of holiday types on our doorstep....you can head for the wide open countryside, opt for sunning yourself in seaside resorts, go for action packed weekends in various cities...there really are so many options. 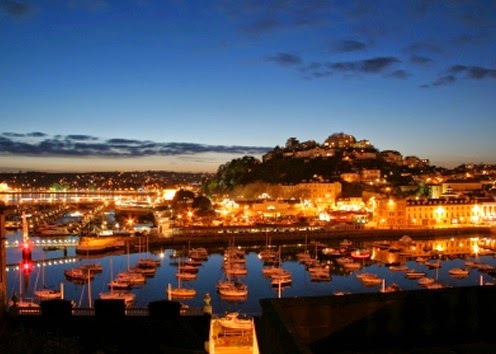 We holidayed a lot in places like North Wales, Blackpool, and Great Yarmouth when I was little but my FAVOURITE UK holiday destination was when we discovered when I was 11. We headed, for the first time, all the way from Liverpool to Devon. 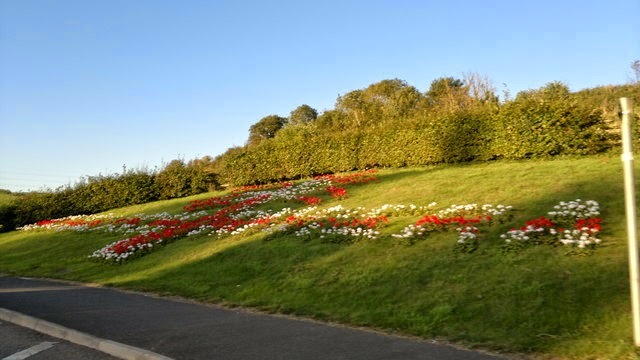 It seemed like arriving in a different country when we pulled up to a roundabout full of Palm trees with the words "Welcome to the english riviera" written in flowers. It always seemed to be sunny, the beaches were spotless and there were so many of them, the water was welcoming. There were so many hotels - most with outdoor pools and it was actually warm enough to swim in them too. traditional fish & chip shops dotted around, exclusive restaurants to choose from, nightlife, cream tea cafes, museums, a local legend of its own in the form of Agatha Christie, gift shops selling everything from the weird to the wonderful and palm trees all around....I honestly couldn't think of a thing Torquay was missing. We enjoyed that holiday so much that we returned the next year. And the year after that....and the year after that. Infact, we returned every single year until I was 25....why did I stop then? Can you really speak any more highly of a holiday destination than to actually decide to move there?! 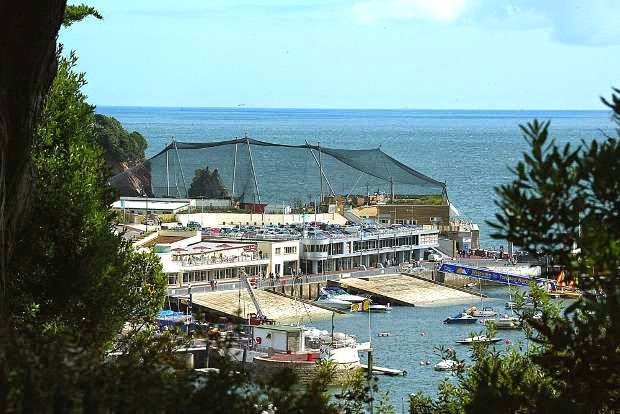 This delightful little coastal zoo & aquarium is such a fun day out! 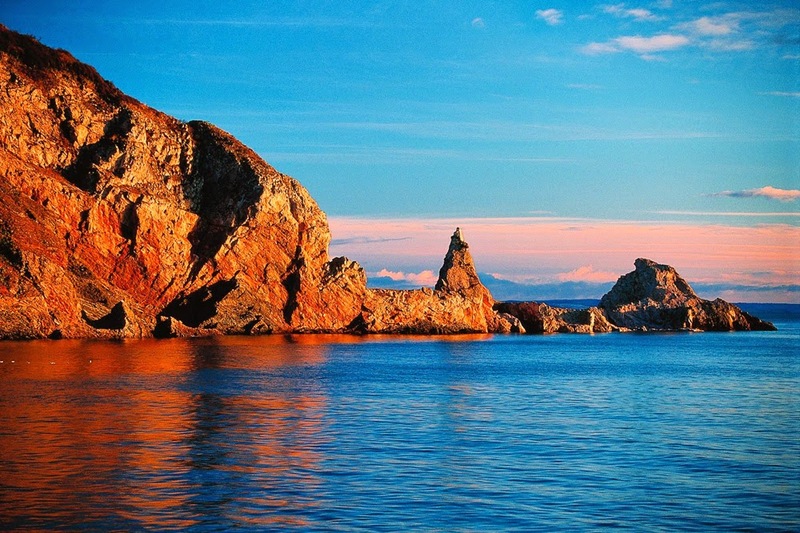 Its ideally located right on the harbour, and we love to go and see the penguins and fur seals! 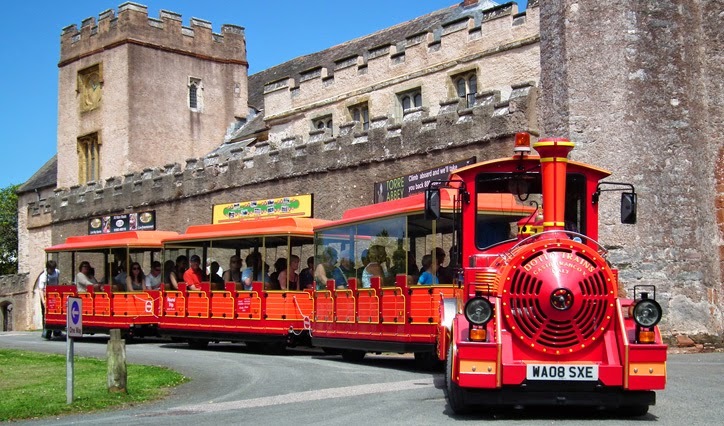 The cute little red land train is a great way to get around Torquay - it stops at all the major sights so you can just hop on and off! 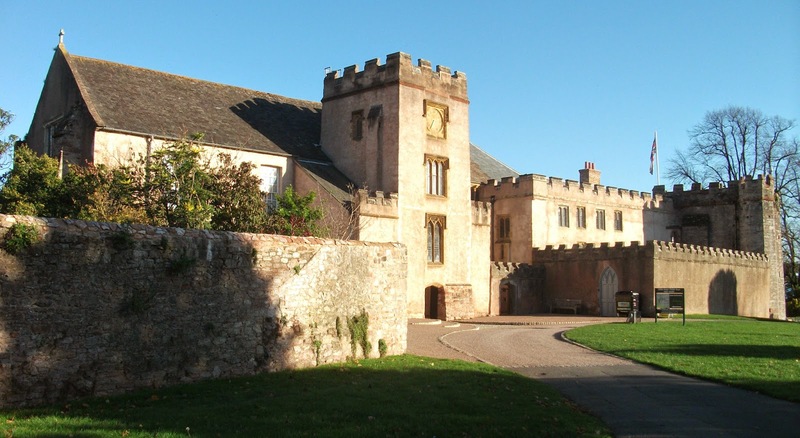 Torre Abbey is a stunning building with picturesque gardens and often plays host to some lovely art exhibitions. Cockington village is part of Torquay, and is apparently the Most Picturesque Village In The UK. With its thatched roof cottages, tiny little shops, and horse drawn carriage rides its easy to see why! 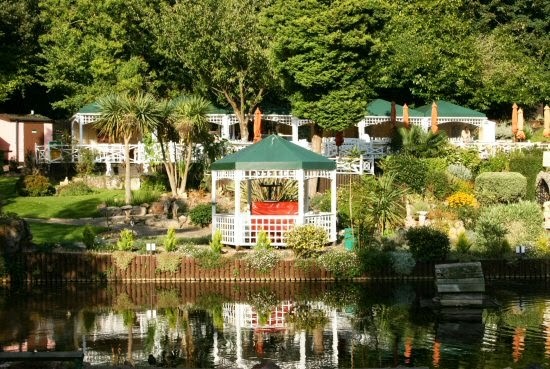 The Rose tea rooms is one of my favourite places to go in the summer....the gardens are just beautiful and a pianist sits in that little gazebo above playing soothing melodies while you stuff your face with delicious fresh warm scones and clotted cream! Bliss! 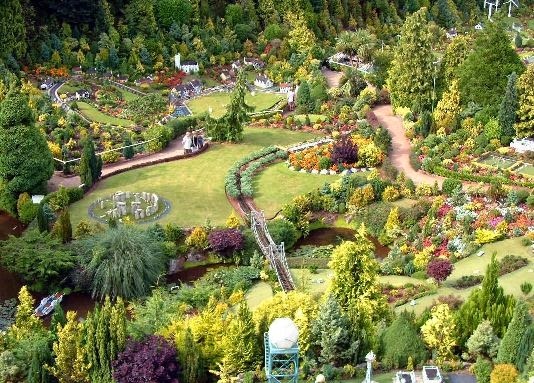 The Babbacombe Model Village is just a stones throw away and is a really lovely place to visit, particularly at Christmas time when the village is decorated and Santa comes to visit!